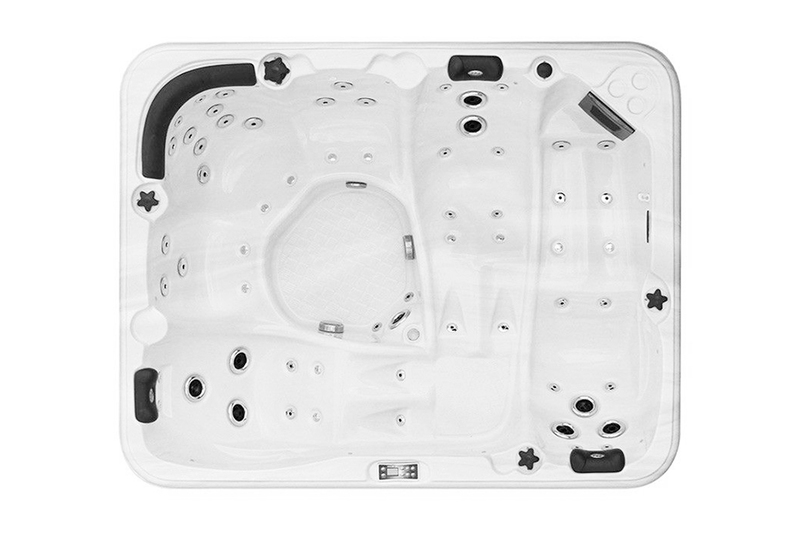 The Repose spa incorporates three ergonomic lounges, each in a different size to accommodate people of different heights. 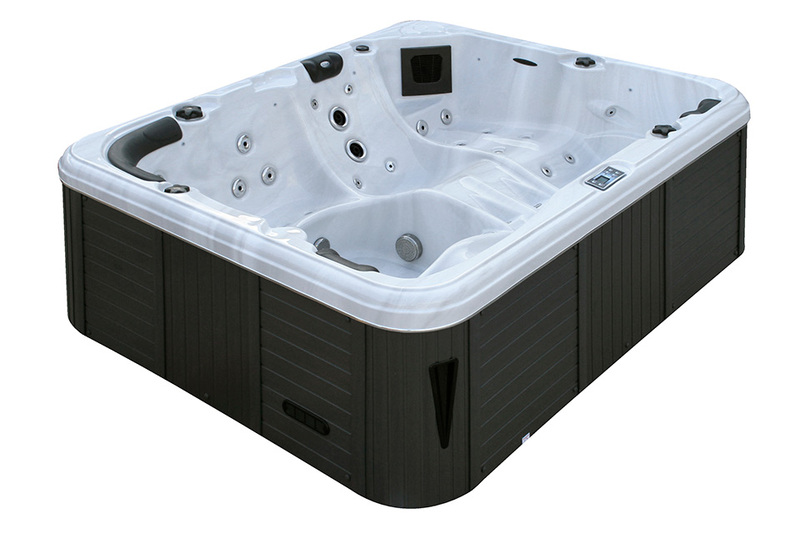 Each lounge has exceptional lumbar support for the ultimate in comfort and relaxation. 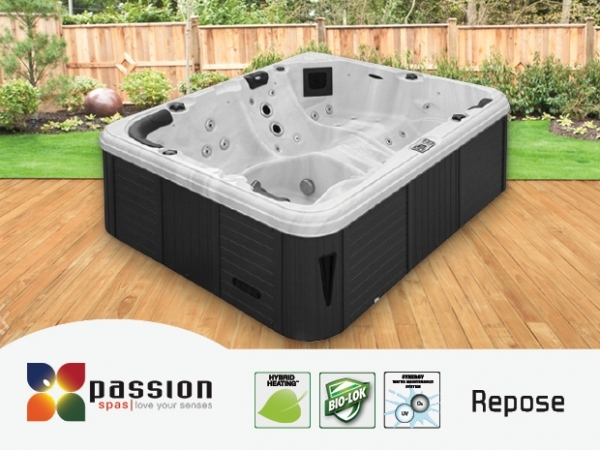 Every Passion Spa is designed to be very energy efficient due to our triple insulation and energy sipping pumps. 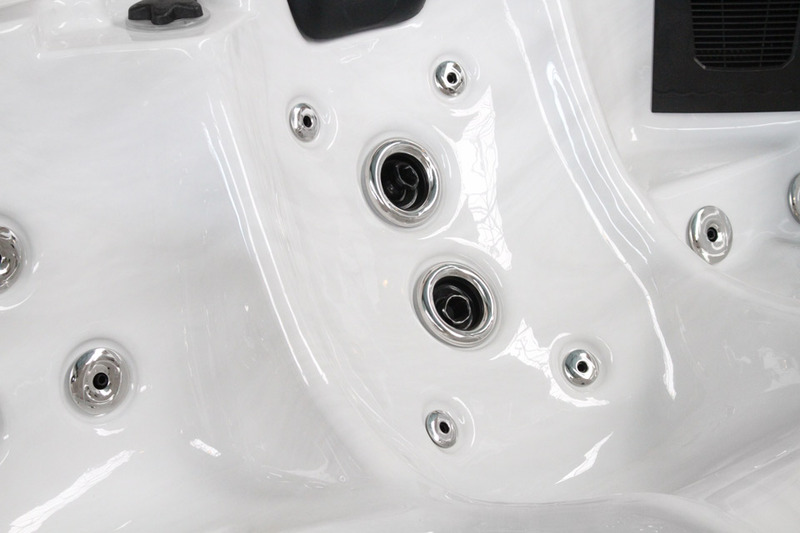 In addition, every spa comes standard with our exclusive Hybrid Heating™, a unique innovation that captures water friction from the pumps and converts it to heat. 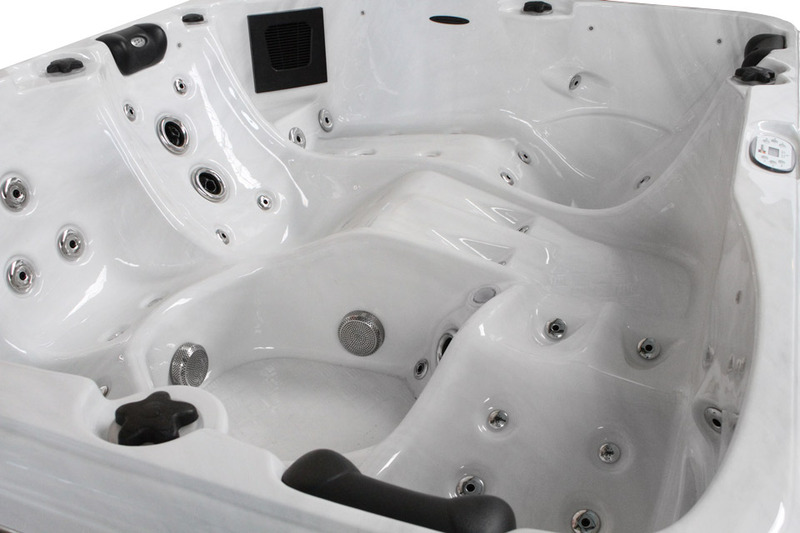 Passion Spas are the ultimate in comfort and energy efficiency.